Volkswagen AG and Ford Motor Co are in “exploratory talks” to jointly develop self-driving and electric vehicles in a far-reaching strategic alliance meant to save the companies billions of dollars, according to a person familiar with the matter. “Our (memorandum of understanding) with VW covers conversations about potential collaborations across a number of areas. It is premature to share additional details at this time,” Ford spokesman Alan Hall said in an email. Volkswagen Chief Financial Officer Frank Witter on Tuesday said the carmaker was open to deeper alliances with outside companies, particularly in the area of autonomous driving. Witter said sharing the carmaker’s electric cars platform MEB with Ford was theoretically possible, although VW is currently focused on rolling out the electric vehicle technologies among its own brands. Such a collaboration between the two companies wouldn’t be surprising, and would in all likelihood be beneficial for both parties. From a Volkswagen perspective, the VW brand in particular is weak in North America, especially in light of the damage caused by the ‘Dieselgate’ scandal. Thus, a collaboration could provide access to Ford’s American factories and other resources such as the company’s marketing expertise and dealership network, potentially increasing the presence and sales footprint of the VW brand. 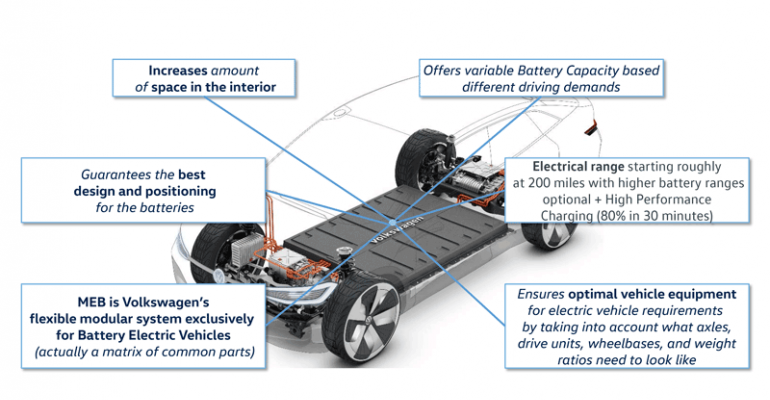 From a Ford perspective, the company gains access to VW’s MEB electric vehicle platform and the expertise associated with it; which, in light of the company ceasing sales of passenger vehicles in the U.S. market, could be very beneficial indeed. Indeed, given both companies respective strengths, future Ford electric commercial vehicles built and geared towards the US market, but developed using VW technology, could have strong prospects of success for both companies. Moreover, although Ford recently invested in Argo AI, a self-driving startup, and created a separate division to lead its autonomous vehicle development, neither brand has the same level of expertise in autonomous vehicles that Waymo, Tesla or GM (with its Super Cruise technology) does. As a result, collaborating in this area may help both brands catch-up more quickly to the current industry leaders.